Tim Hawkins (CEO of Peterbilt Atlantic) presented LDANB President Roger Duval with the donation. Left to right: Jane Clohossey (LDANB, Ainsley Congdon (LDANB Acting Executive Director), Roger Duval, Tim Hawkins, and Holly Neill-Daley (Barton Tutor). Fredericton – The Learning Disabilities Association of New Brunswick (LDANB-TAANB) announced today that Peterbilt Atlantic will be the signature sponsor of the expansion of the association’s Barton Tutoring Program to the Moncton region. Drawing off the success of the Barton Tutoring Program in Fredericton, the LDANB will now be able to assist up to 25-30 students in the Moncton area by teaching the fundamentals of reading and spelling by breaking down words into smaller, more manageable blocks. The Barton Reading and Spelling System is an internationally recognized system based on Orton-Gillingham method of learning language. 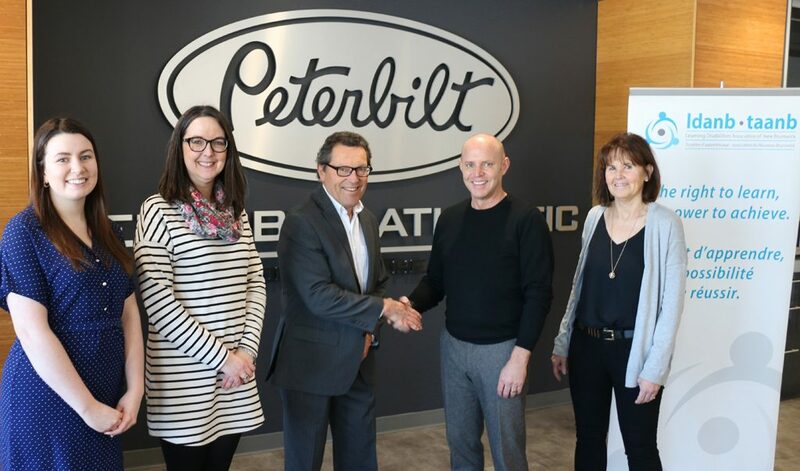 “We are ecstatic to begin this generous partnership with Peterbilt Atlantic. 100% of the support from Peterbilt Atlantic will go to our expansion of the Barton Tutoring Program to the Moncton area.” said LDANB-TAANB board president Roger Duval. “We look forward replicating the success we have had with the Barton Tutoring Program in Fredericton. 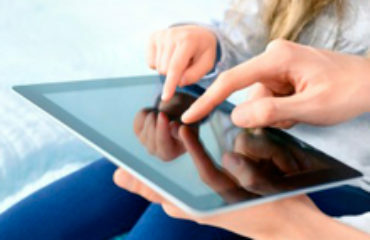 It is very exciting for us to know that students with dyslexia and other learning disabilities will be able to take advantage of this program in Moncton this year”, commented Ainsley Congdon, acting executive director. Peterbilt Atlantic is the largest heavy duty truck dealer in Eastern Canada with nine locations in five provinces. For almost 50 years, the LDANB has promoted the understanding and acceptance of the abilities of persons with learning disabilities to lead meaningful and successful lives.